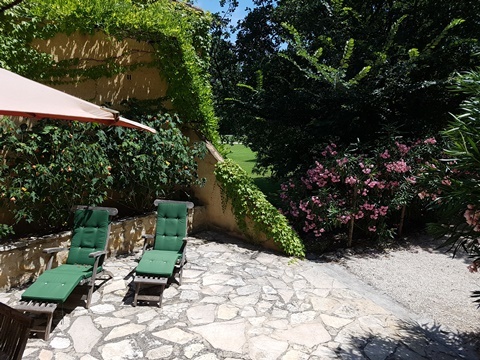 La Tuilerie is located on the historic estate of Moulin de la Roque, Noves in the heart of Provence, between Saint-Remy-de-Provence, Avignon, the Luberon, Chateauneuf du Pape and the Pont du Gard. All are just an easy short drive away. 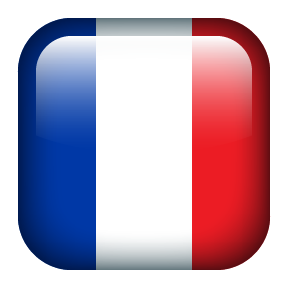 At the beginning of the 17th century, a traditional tile works (tuilerie – terracotta roof tiles) was built along the hillside (la roque). Its two tile kilns stayed in activity until the 19th century, producing traditional Roman tiles. The two kilns are still visible today and are located at the base of this cottage. The ancient tile works have been completely restored and Baron Fallon has designed the living space on three levels. This beautiful house will give you a taste of the Provencal "art de vivre." From the center courtyard, you enter La Tuilerie on the ground floor through a lovely arched antique oak door, a signature of the estate. A beautiful curved staircase with custom ironwork brings you to the main floor. On this level, you will see a full wall of glass french windows and doors providing you access and beautiful views of your private stone terrace, olive tree, lavandar, thyme and rosemary gardens and the adjacent forest. 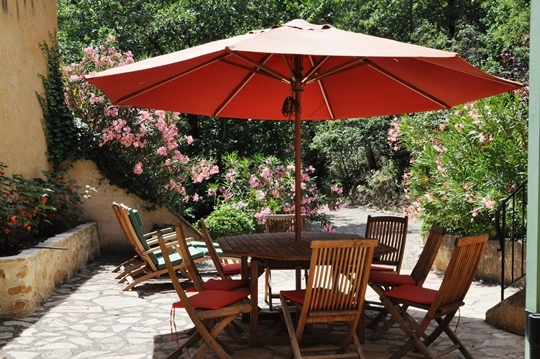 Your terrace is furnished with a large teak table and chairs shaded by a colorful parasol. Built into this terrace is a stone barbecue/fireplace. There are also two nice lounge chairs with cushions for sunning or just relaxing. Convenient to your terrace, on this main level you will find a large dining area with orginal stone walls, antique oak table dining table and large buffet. 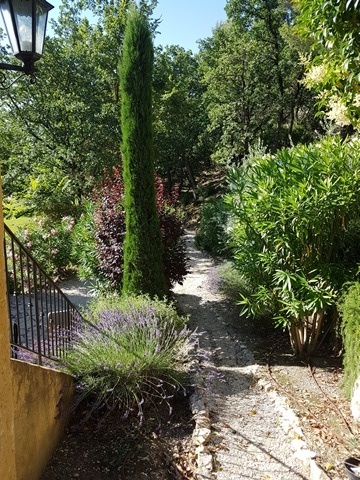 The kitchen, just adjacent, has old world charm and is fully equipped with all the modern appliances you will need to prepare and enjoy a wonderful provencal meal. You will find a dishwasher, washing machine, dryer, coffee maker, hot water maker, espresso machine, fridge, freezer, convection oven, gas cook top and many other amenities. There is also a stereo with MP3 connection and cd player. Continuing up this unique curving staircase from the kitchen and dining area you reach the third level or the living area where you will find a cozy space with fireplace, large flat screen TV, DVD player, and views of the forest. It is nicely secluded from the rest of the house for separate entertaining or if you just want to get away to read and relax. There is an additional access to the terrace from this area. It is open to the kitchen below. La Tuilerie has four air conditioned bedrooms, two full baths and two separate toilet rooms however what makes it unique is that each bedroom also has a hidden vanity sink for extra convenience. So only one shower or bath is shared between two rooms, the toilets are separate and private from the baths and each bedroom has its own sink. No waiting! Also each bedroom can be either king size (1m80 by 2m) or 2 single beds. Everyone can have the room they desire – whether you are a couple, friends sharing a room or children. On the main level you will find two bedrooms, again, each with a sink (for extra convenience but cleverly hidden by provençal fabric) and views to the center courtyard and southern garden. These two bedrooms share a full bath in Travertine marble with Italian rain shower. The toilet is also separated in a private room apart from the bath. The additional two bedrooms and bath are located on the ground level, each include a hidden sink and share a full bath with tub/shower and private toilet room. Large fully equipped kitchen with microwave, dishwasher, washing machine/dryer combo, stove, cook top and large antique oak table. There is access to the terrace and barbecue through large french doors off of the kitchen. Bedroom 1 : Luminous room with 2 single beds or 1 king as you wish, with hidden vanity sink, lovely provencal fabric, armoir, air conditioning, windows to center courtyard garden and southern lawn. Bedroom 3 : 2 single beds or 1 king as you wish, with hidden vanity sink, armoir and provencal fabric, air conditioning. Bedroom 4 : 2 single beds or 1 king as you wish, armoire, and hidden vanity sink, air conditioning. A charming and authentic mas of Les Alpilles. 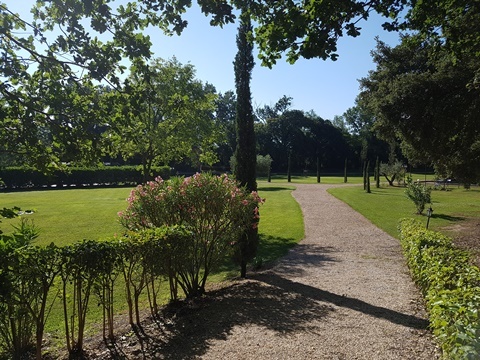 Nestled in a haven of greenery, there is easy access to & from the main park. for creating your most delicious Provencal meals. 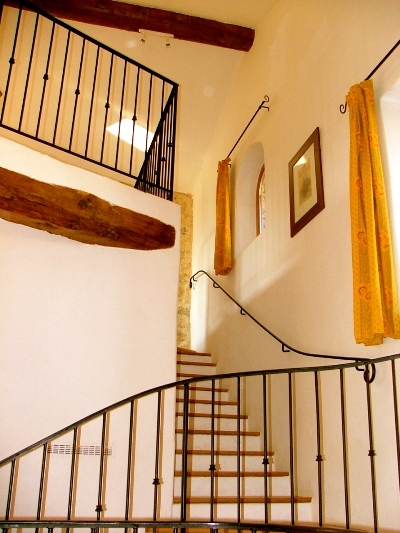 Two bedrooms in Provencal style on upper level can be either king size or single beds, your choice. All bedrooms are air-conditioned. Two bedrooms on lower level also in Provence style with king or single beds. Air conditionning in the rooms.